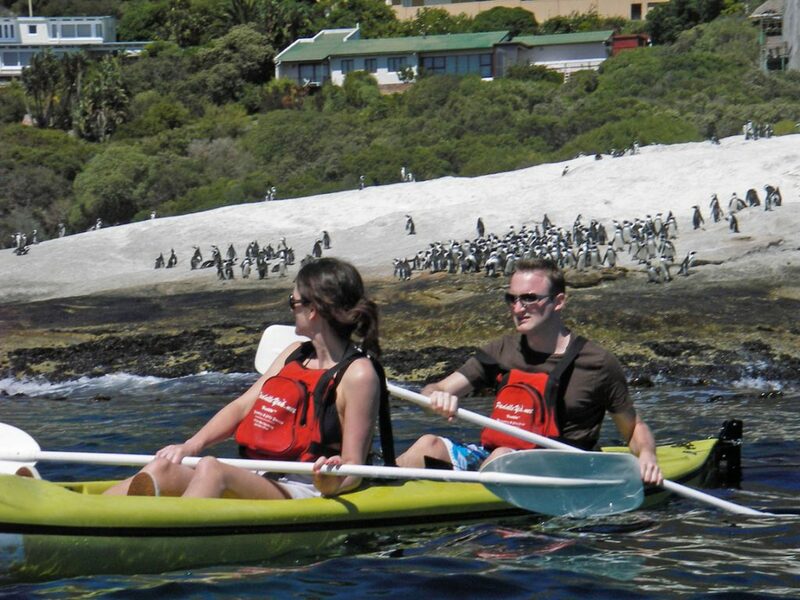 Not many cities in the world boast their very own penguin colony. 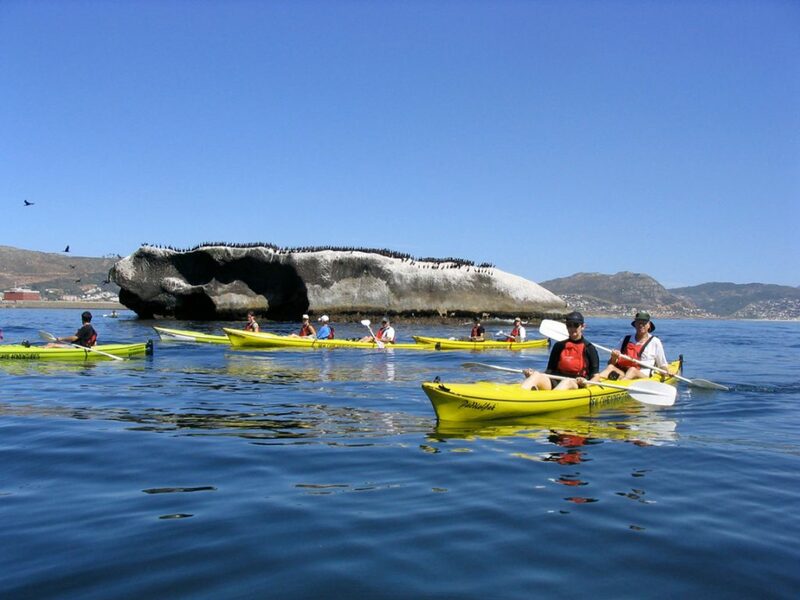 Cape Town has one and the best ways to experience it and that is by sea kayak leaving from the Simons Town Waterfront. 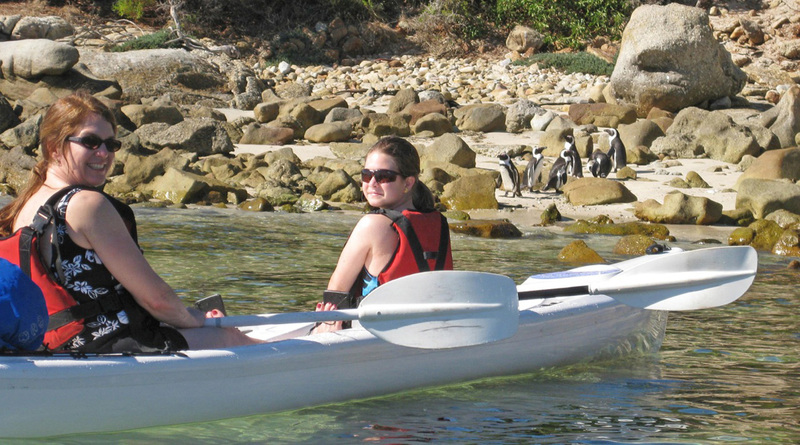 Paddle out of the harbour past the Naval Base towards Boulders Beach where you will encounter these playful penguins as they surf the waves or bask in the sunshine on the beach. 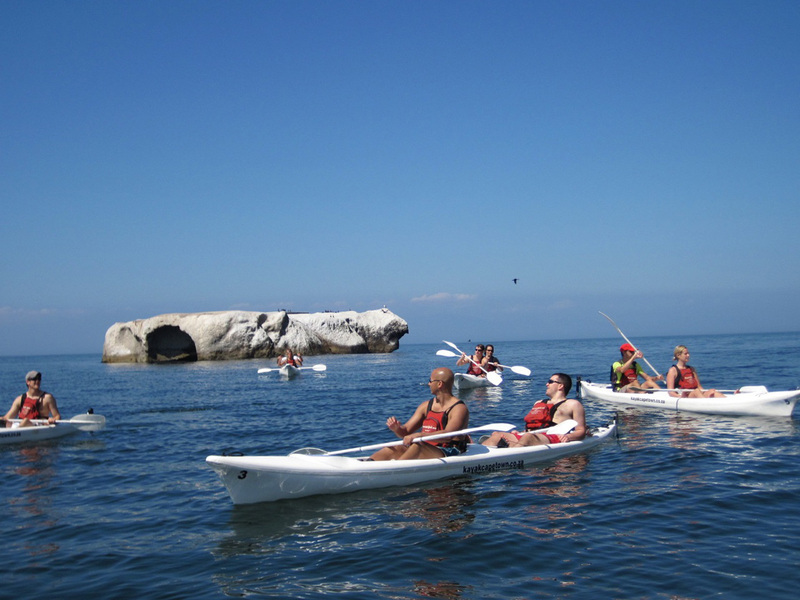 During the correct season you will also have a very good chance of seeing the whales. 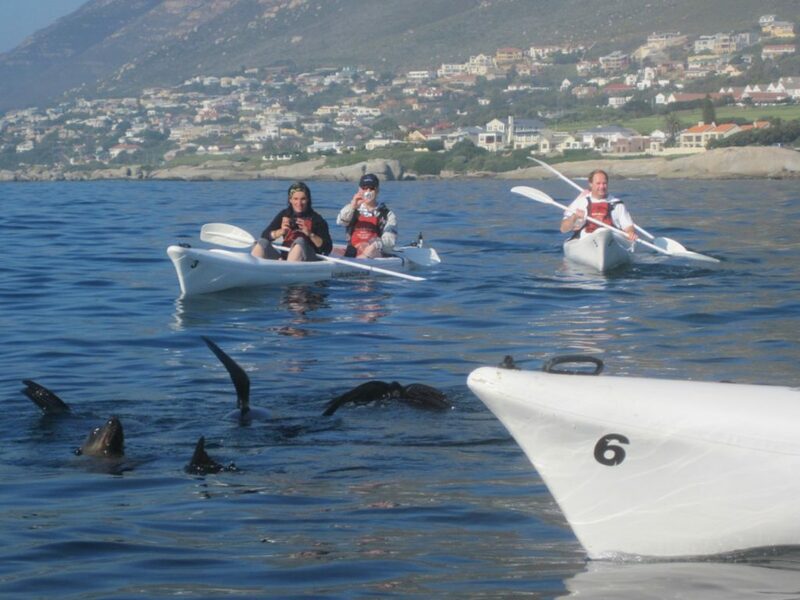 The double kayaks are stable and easy to steer making them perfect for those without paddling experience. 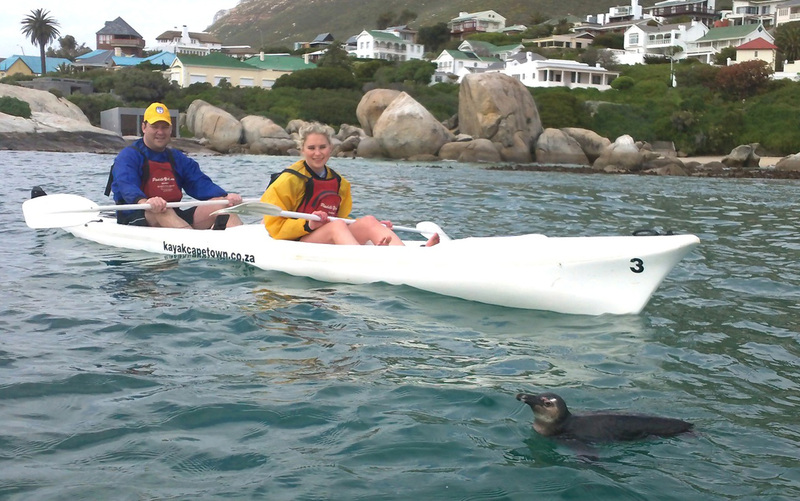 Stable double kayak and life jacket. 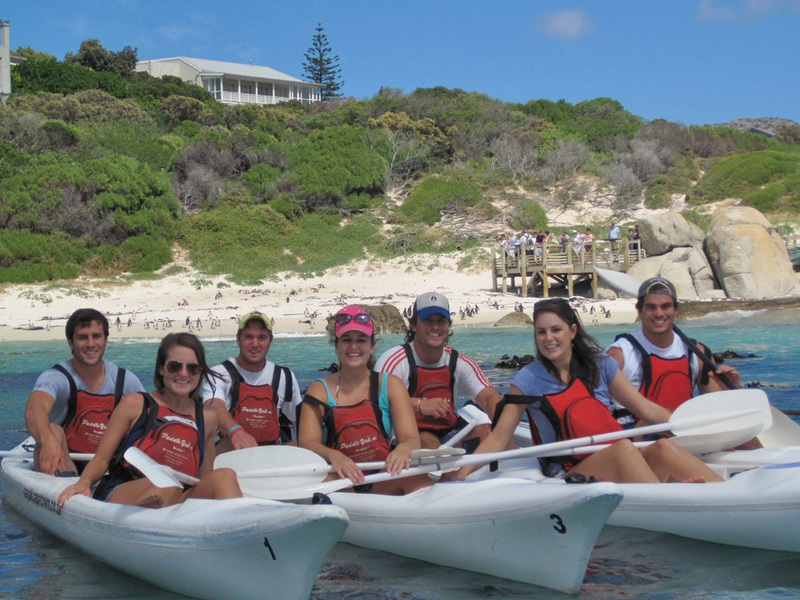 Guide to take care of you on the tour.